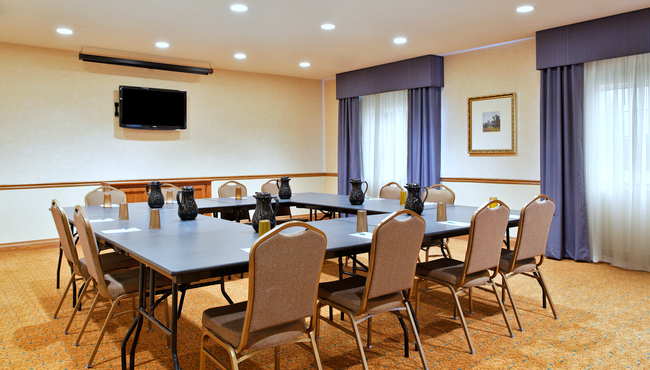 Whether you need to host a professional seminar, a team meeting or a festive social gathering, the Country Inn & Suites, Decatur offers an excellent meeting space to suit your needs. In addition to an easily accessible location just off I-72 and US-51, our hotel provides free Wi-Fi and audiovisual equipment rentals to help make your presentation a resounding success. We also offer a personalized Web page for your event, which allows you to keep guests updated with important details and directions.